Movement Exchange program. Photo courtesy of Movement Exchange. 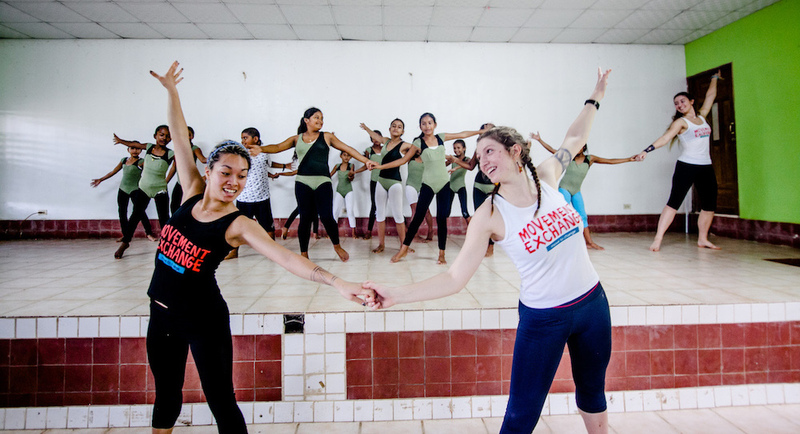 With a network of more than 20 university chapters, the nonprofit Movement Exchange is beginning to transform the use of dance around the world thanks to its predominately high school- and college-age volunteers. Through its programs, students across the U.S. are able to venture to global communities to connect with locals through movement. Movement Exchange ethnic dance class. Photo courtsey of Movement Exchange. 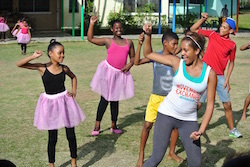 Founded in 2010, Movement Exchange combines dance and service through international dance exchanges and year-round activities in underserved communities. 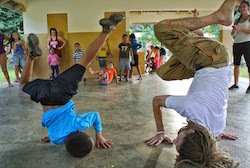 At this point, it mostly works in Panama to teach dance to children in orphanages and at-risk youth foundations. Last year, 83 students from across America participated in exchanges, with a total of 1,175 free dance classes being provided globally. This equated to 2,700 youth in Panama experiencing dance, perhaps for the first time. Movement Exchange participant with kids. Photo courtesy of Movement Exchange. Now her dance diplomacy programs have turned into “something more wonderful” than she initially imagined. “What started as service trips has evolved into year-round classes at orphanages and youth foundations in Panama and year-round classes throughout the United States taught by the network of over 20 Movement Exchange University Chapters,” Pasternak explains. Now in the U.S., college student-led chapters are teaching “everywhere from adult day health centers to domestic violence shelters and at-risk youth organizations,” according to Pasternak. During the 2015-16 School Year, 780 free dance classes were taught in America. 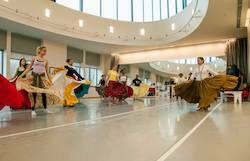 In addition, chapters organize dance education events on their campuses. “They are redefining what it can mean to be a dancer in the university setting and getting many of their dance departments to get more involved in outreach work!” Pasternak proudly declares. Movement Exchange. Photo by Jillian Hahn. Movement Exchange. Photo by Rasiel Rodriguez. Movement Exchange class. Photo courtesy of Movement Exchange. Back in the U.S., Vanderburgh and her university chapter have been teaching weekly dance classes to kids at a local domestic violence shelter. She honestly says it’s a tough task sometimes with many kids there having behavioral issues. Yet, she testifies to still seeing real positive change. Movement Exchange. Photo by Carina Fourmyle. 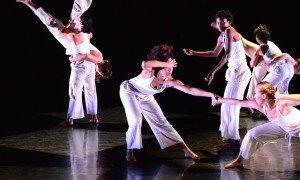 Looking to the future, Pasternak says she hopes Movement Exchange will continue to expand access to dance education to underserved communities in the U.S. and Panama. “Our dream is for Movement Exchange to be on every university campus and to perhaps include more high schools and professional dance companies,” she adds. When asked if she’s considering expanding to other countries, Pasternak says Movement Exchange has actually run programs in India in the past and that this July they will be embarking on their inaugural dance exchange to Rio de Janeiro, Brazil. Registration is still open for 2017 Movement Exchange programs, as spaces are left for a Panama Exchange in June and the Brazil Exchange in July. Visit www.movementexchanges.org or email adele@movementexchanges.org for more information. College Dance: Is it for Me?